Happily, it was even more popular that anticipated — so Anthony’s back with another selection we just had to call 13 MORE CLASSIC COMICS RUNS THAT NEED BOOK COLLECTIONS. Blood of the Innocent. 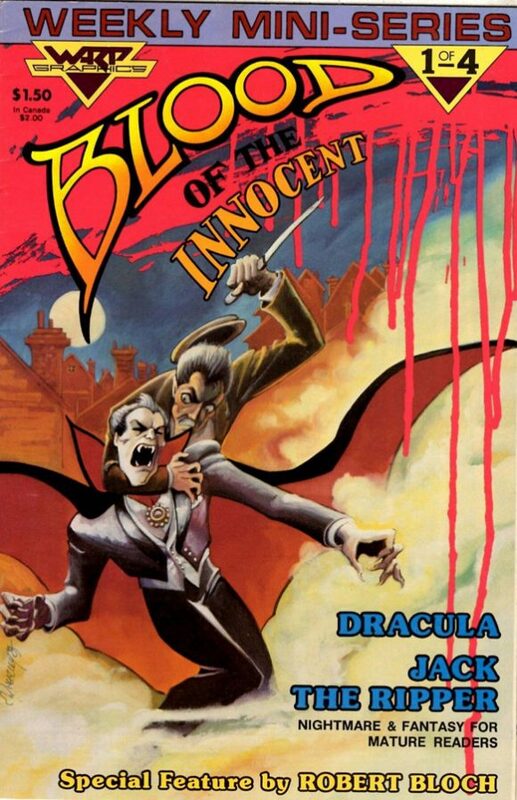 This little-known weekly mini-series by Mark Hempel and Mark Wheatley was published by WaRP Graphics in 1985 and featured Dracula vs. Jack the Ripper. I’m not sure where the copyright falls on this, but to my knowledge it’s never been collected. 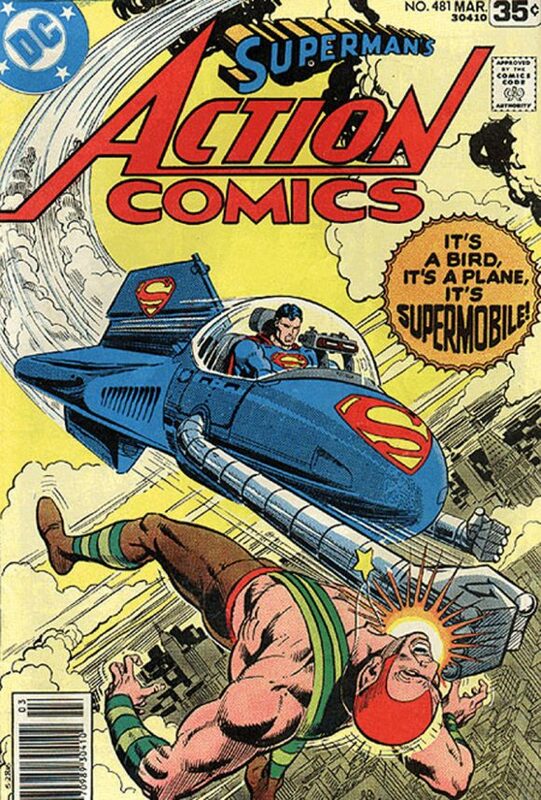 Superman: Bronze Age Battles. Throughout the Bronze Age, DC produced some memorable story arcs in the Superman titles that featured battles with classic foes. Terra Man (Action Comics #468-470), Faora Hu-Ul (Action Comics #471-473), Vartox and Karb-Brak (Action Comics #475-476), Amazo (Action Comics #481-483), Metallo (Superman #317-318), Solomon Grundy and the Parasite (Superman #320-322), and Master Jailer (Superman #331-332) could all be included in a collection. Arak, Son of Thunder. Over at Marvel, Roy Thomas had great success with his adaptation of Conan the Barbarian. At DC, his original creation didn’t fare as well. 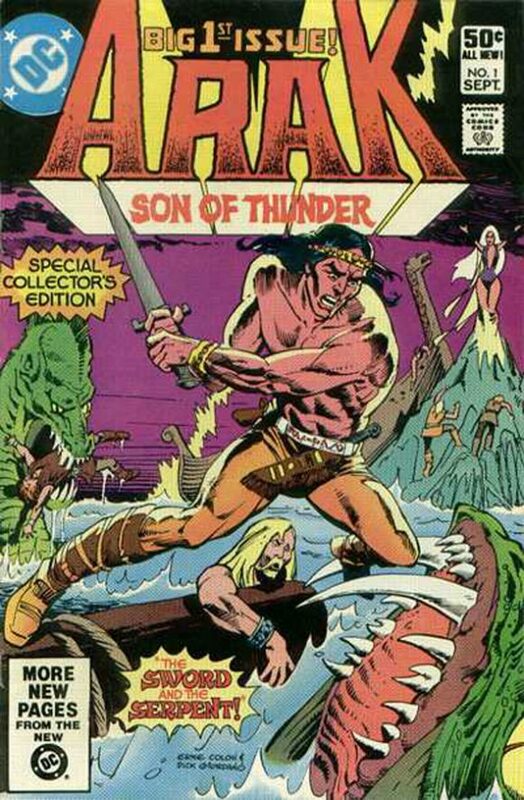 Nevertheless, I enjoyed Arak, Son of Thunder and would love to see it collected. 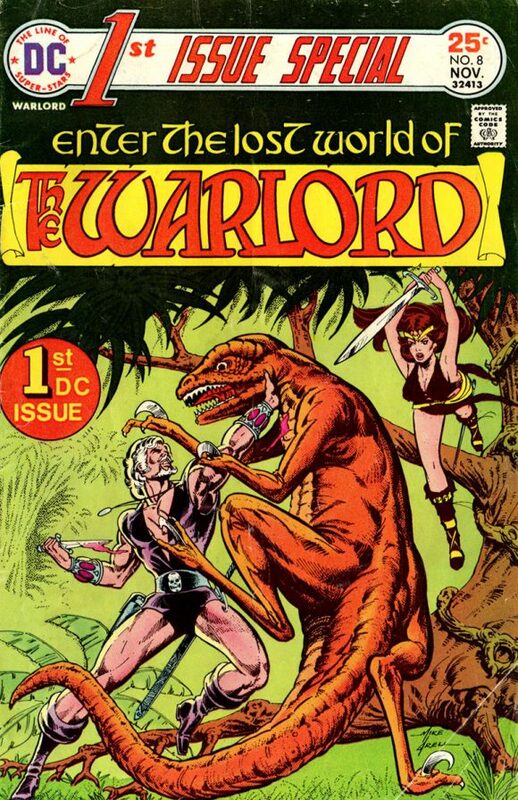 Or at the very least, the first 12 issues (and the preview from Warlord #48), featuring art by co-creator Ernie Colon. Legion of Super-Heroes: The Fatal Five. The Fatal Five proved time and again to be formidable foes for the Legion of Super-Heroes. 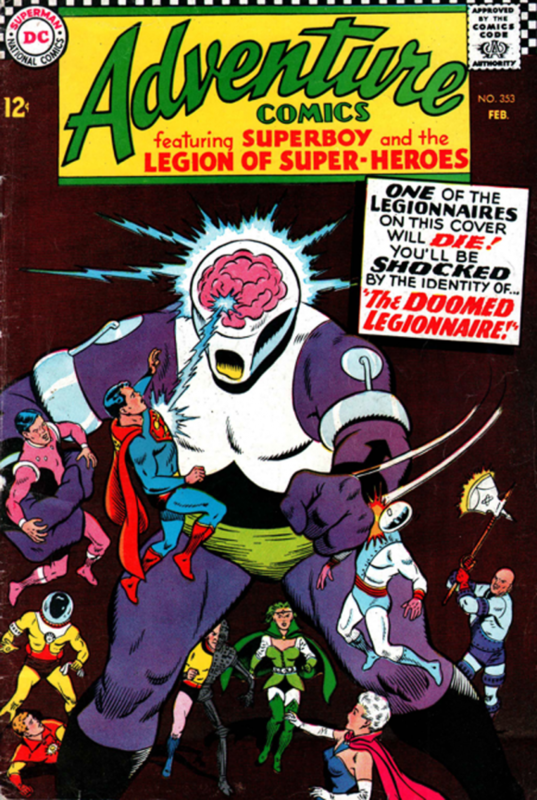 Collect their appearances from Adventure Comics (#352, 353, 365, 366, 378), Superboy (#198, 215, 218), Superboy and the Legion (#231, 246, 247, 269-271) and Legion of Super-Heroes Vol. 3 (#24-26) to see why they’re the scourge of the 30th Century. Marvel’s Micronauts. 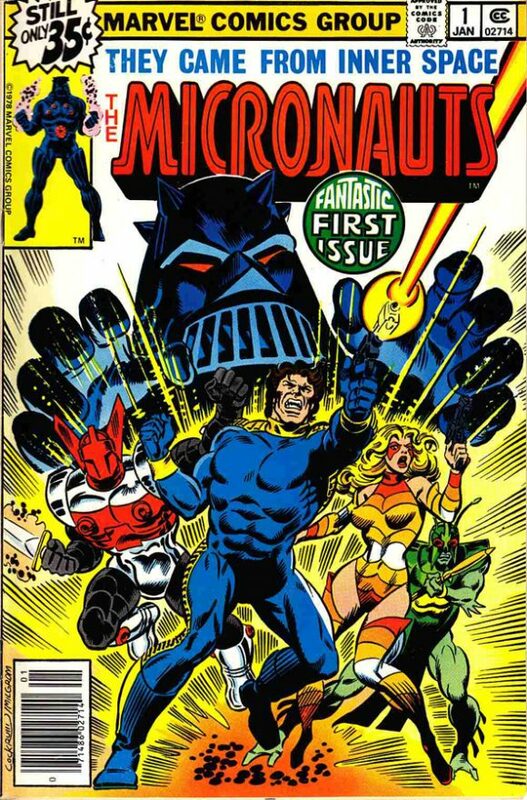 Although the current comics rights for the Micronauts reside with IDW, it was their Marvel incarnation, mostly written by Bill Mantlo, that was the most popular. Based on the Mego toy line of figures and vehicles, the original series lasted 59 issues and two annuals from 1979-1984. Throw in the four-part crossover The X-Men and The Micronauts for good measure. Little things that could use a big package. Infinity Inc.: The Generations Saga. 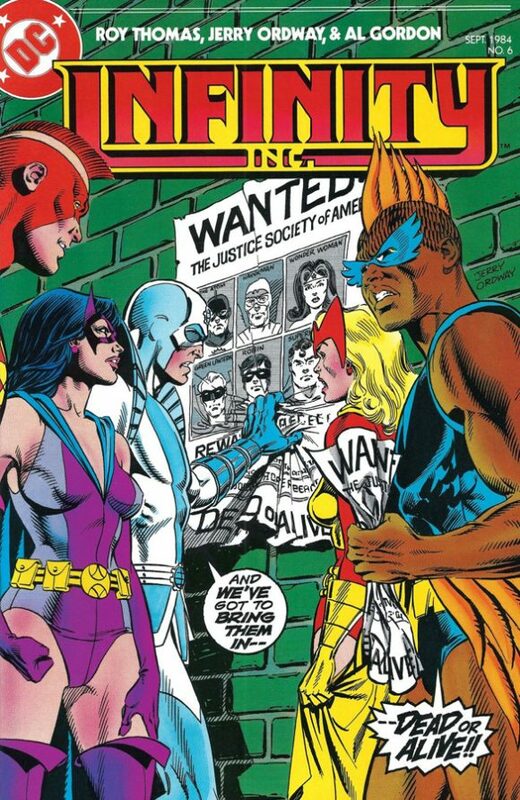 This epic pit the newly formed Infinity Inc. against the Justice Society — their mentors and parents, who had been turned evil by the Stream of Ruthlessness in a plot masterminded by the Ultra-Humanite. The saga ran 10 issues and featured scripts by Roy Thomas, with glorious art by Jerry Ordway and Mike Machlan. Unfortunately, DC has only collected the first four issues, along with the prelude in All-Star Squadron #25, 26 and Annual #2. That was back in 2011. Seems like a generation ago. Warlord. Can you believe it’s been 27 years since DC collected the first 12 issues of Mike Grell’s epic of sword and sorcery in the land of Skartaris? And it’s been 10 years since they released a black-and-white Showcase Presents covering the first 29 issues. I think a full-color omnibus is long overdue, don’t you? Or do I have to pull out my copy of DC Special Blue Ribbon Digest #10? Tigra. Originally, Greer Grant Nelson was a costume-clad super-heroine calling herself the Cat. Alas, her initial series only lasted four issues. Eventually, she would be transformed into the were-creature known as Tigra. 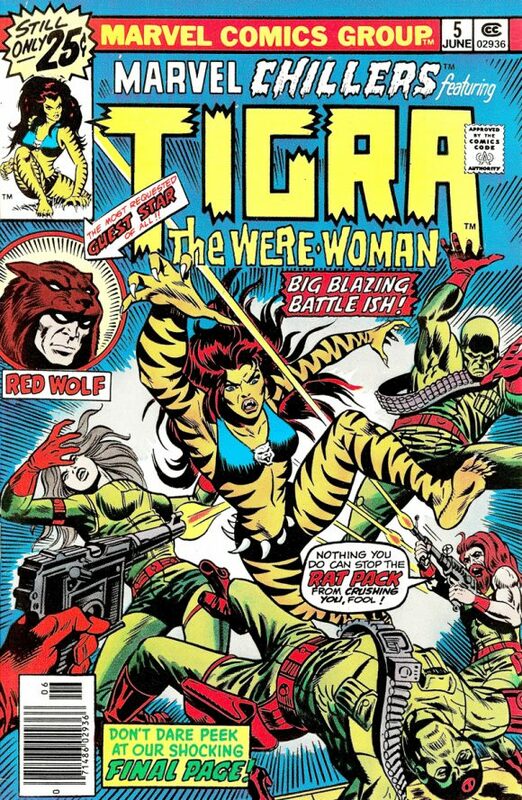 A complete Bronze Age edition could include The Cat #1-4, Marvel Team-Up #8, Giant-Sized Creatures #1, Werewolf by Night #20, Monsters Unleashed #10, Marvel Chillers #3-7 and Marvel Premiere #42. As a bonus, throw in Amazing Adventures Vol. 2 #13-16 and Avengers #141, which charts the path of Patsy Walker taking over the Cat identity, albeit as Hellcat. Jack of Hearts. 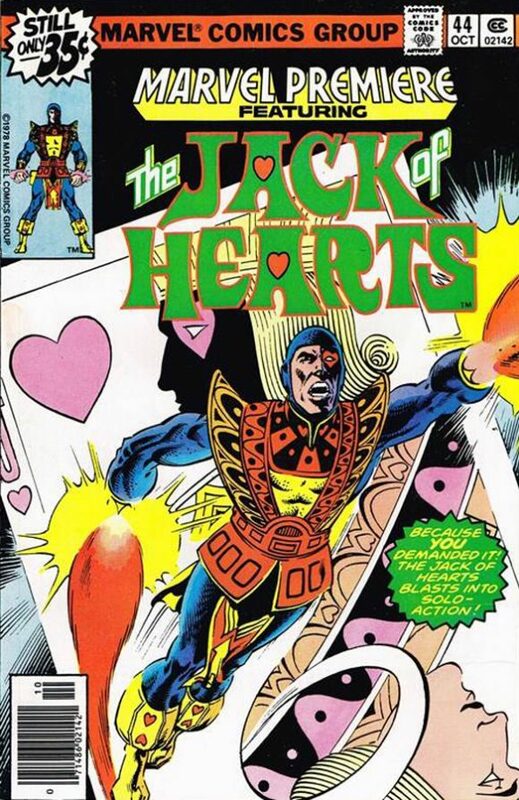 Jack of Hearts is a character that I’ve always liked visually but outside of a few issues during the Bronze Age, I haven’t read a whole lot of his appearances. And that’s odd, because he bounced around as a guest star quite a bit back then. A complete collection would include Deadly Hands of Kung Fu #22-24, 26, 29-32; Incredible Hulk #213-214; Iron Man #102-113; Marvel Premiere #44; Defenders #62-64; Marvel Two-In-One #48; Marvel Team-Up #134 and Jack of Hearts #1-4. Unfortunately, due to rights issues, his appearance in Rom #12 would probably have to be omitted. Marvel Fireside Books. Origins of Marvel Comics! Son of Origins! The Superhero Women! Bring on the Bad Guys! Marvel’s Greatest Super-Hero Battles! 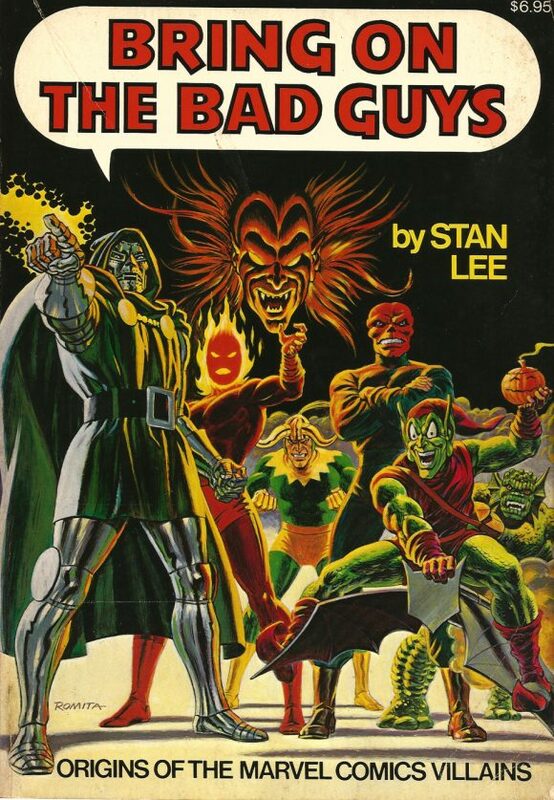 These were my introduction to much of the Marvel Universe back in the ’70s. Now granted, I still have these on my book shelf but honestly these need to be put back into print for new readers to discover. Excelsior! Shazam! Bronze Age Omnibus. Although DC gave Shazam! the black-and-white Showcase Presents treatment back in 2006, it was incomplete. A Bronze Age Omnibus could include Superman #276 (the Captain Thunder issue); Justice League of America #135-137; All New Collectors’ Edition #C-58; Shazam! #1-35; World’s Finest #253-270, 272-282; Adventure Comics #491-492, and DC Comics Presents #33-34, 49 and Annual #3. Claw the Unconquered. This attempt at a Conan-type barbarian had a short but memorable run at DC in the Bronze Age. A complete collection would feature issues #1-12, the unpublished #13-14 (originally seen in Cancelled Comic Cavalcade #1), and Warlord #48-49. 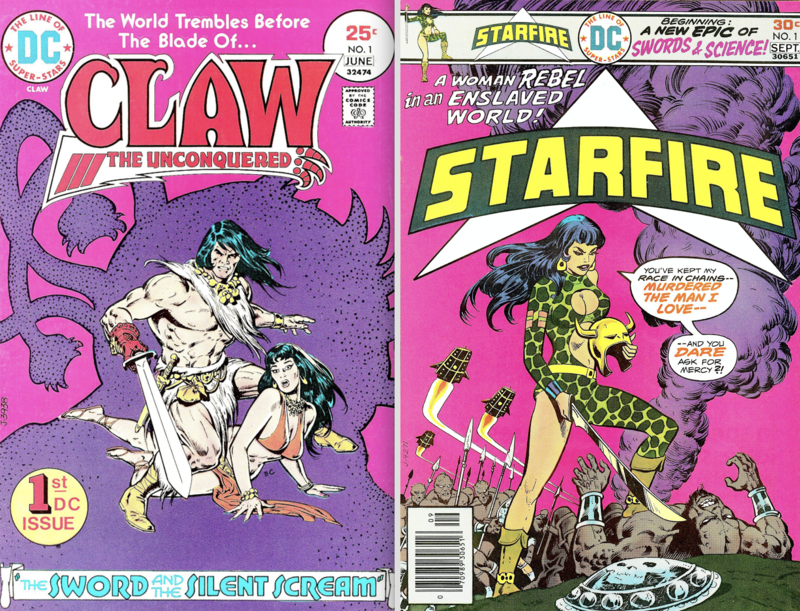 In addition, it was eventually revealed in Star Hunters #7 that Claw and Starfire – the sword-and-sci-fi one — existed on the same world. So, for completion’s sake, include that issue as well as Starfire #1-8. The Sensational New Wonder Woman. 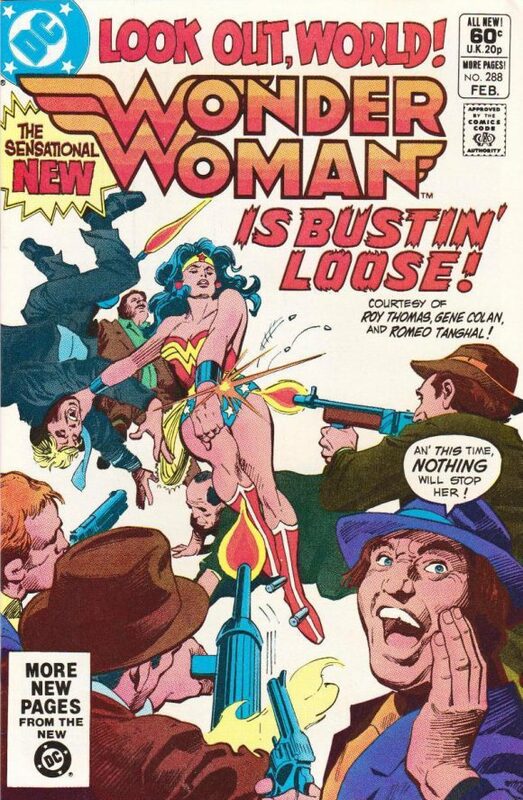 In 1981, DC Comics gave Wonder Woman a soft-reboot (and a revised logo) under the guidance of former Marvel mainstays Roy Thomas and Gene Colan. Starting with Issue #288, this new take on Wonder Woman would bring back Doctor Psycho and introduce Captain Wonder and Silver Swan. In addition, the three-part Countdown to Chaos featured a roster of DC heroines teaming up with the Amazing Amazon. Although Colan would stay on until Issue #306, Thomas’ swan song was #300 (with some issues written by Marv Wolfman, Paul Levitz, Paul Kupperberg and Dan Mishkin before then). So, a collection of #288-300 would capture the Thomas/Colan era quite nicely. 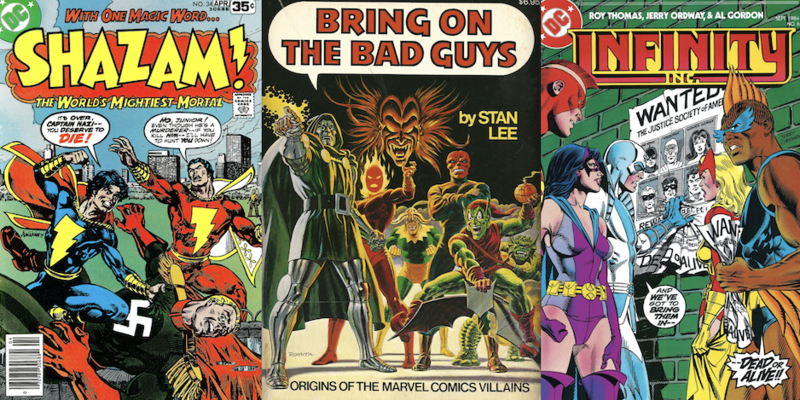 — 13 Classic Comics Runs That Need Book Collections. Click here. — TOP 13 Most Unnecessary Retcons in Comics History — RANKED. Click here. 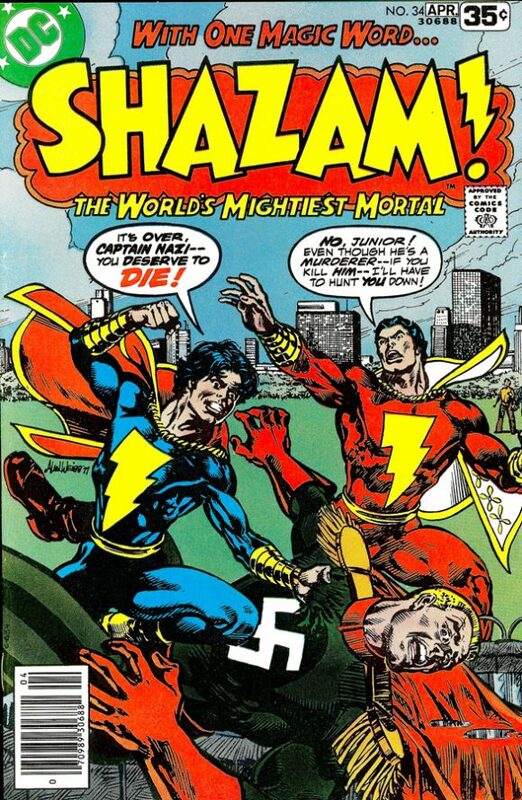 In regard to the Shazam book, the Superman team ups have already been reprinted. I’d be happy with just the new look from the last 2 issues of Shazam and the World’s Finest stories. I had no idea that Claw and Starfire occupied the same world. Not only would I want to see the book collection published, I think a crossover is in order.